Patty Peck Honda is having a President’s Day Sale! 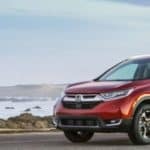 Today, the February holiday has become well known for being a day in which many stores and car dealerships (such as Patty Peck Honda) hold sales. Patty Peck Honda is happy to announce our President’s Dale Sale going on all month long! Get 0.9% APR on new 2012 Accords, Civics, Crosstours, Pilots and Odysseys. Madison County Parents, we know fund raising for your PTO (Parent Teacher Organization) is hard work, that is why we want to help! Together with Parents and Kids Magazine we created the Patty Peck Premier PTO Facebook Contest. Help My Honda Winner’s 1994 Civic Unveiled! On September 3, 2011, Patty Peck Honda unveiled our Help My Honda winner’s 1994 Civic. Thank you Capitol Body Shop, Venable Glass Services, Mobile Audio, B&B Auto Trim & Restyling Shop, Cole’s Reconditioning, and IDoTint for all your help on fixing up the Civic. We hope Blake Edward Thomas enjoys his Honda makeover! You may be asking yourself the famous question “What’s In It For Me?” when it comes to following us on our social media sites. If you’re wondering why you should become a Patty Peck Honda Facebook fan, or why should you follow us on Twitter… we will give you four great reasons to answer that “WIIFM” question. Come See the Unveiling of the Honda Makeover for the First Time! 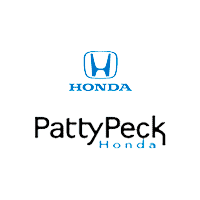 On Saturday, September 3, 2011 from 11:00 a.m. – 1:00 p.m., Patty Peck Honda is holding an exciting event to reveal the Help My Honda winner’s new and improved Honda! And the winner is….Blake Edward Thomas!